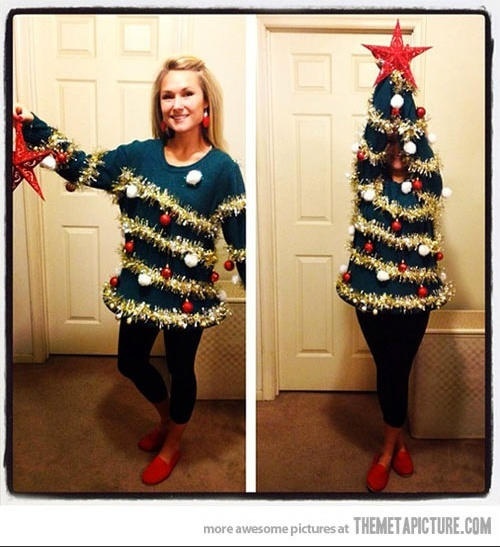 The Ugly Christmas Sweater…They’re All the Rage! The best caption of all: Just when you get over the awkwardness of this photo, you’ve Yet to realize, she has a Goat on her lap! Back and Reposted by Popular Demand! 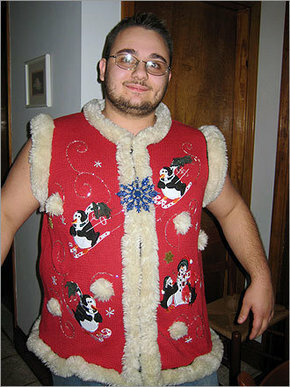 Definitive in every way, Ugly Christmas Sweater Party Book includes the history of the event, how to throw the perfect party, what to wear, and how to judge the all-important ugly Christmas sweater contest. 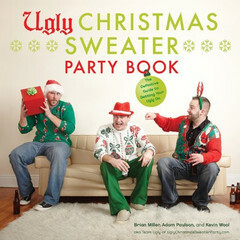 But most important, Ugly Christmas Sweater Party Book is packed with more than 100 hilarious, full-color photos of outrageously ugly Christmas sweaters, including Scarf Face, Wreath Witherspoon, and Ryan Treecrest. 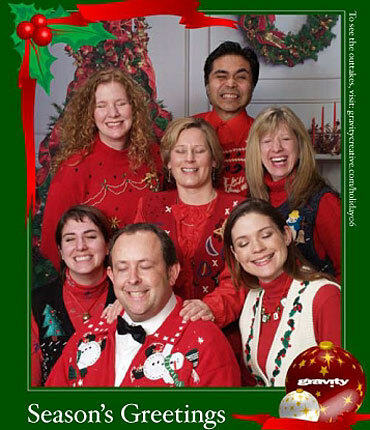 It’s a must-have for the millions who plan to throw or attend an ugly Christmas sweater party, and a sidesplitting look at the funniest, craziest, most unbelievable holiday sweaters you can imagine—authorized by Team Ugly, the recognized experts on ugly Christmas sweater parties. 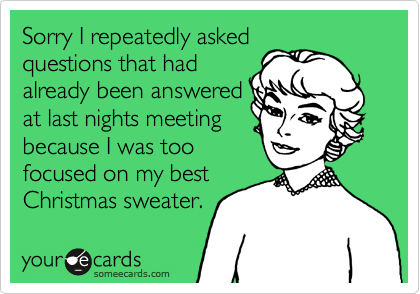 I love the idea…and wouldn’t this be a Great hostess gift? 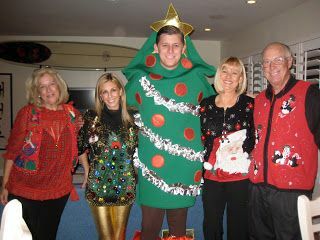 And what a fun holiday tradition to have everyone wear their finest ugly sweaters to the family party? 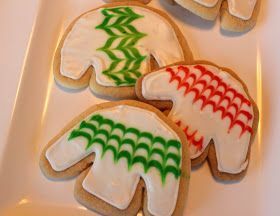 Sweater Cookies! How sweet it is! 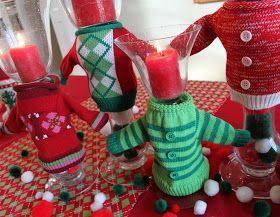 Wrap your glasses or candles with “mini sweaters”…made from old gloves, or sweater wine covers (can find at Pier 1 or Bed, Bath and Beyond). 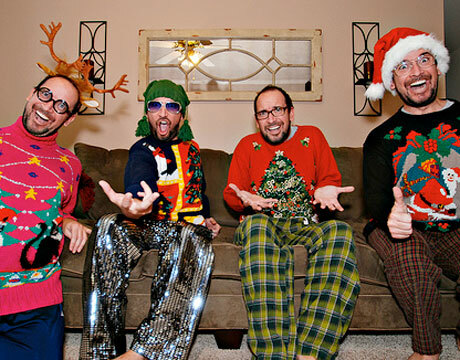 The true spirit of Christmas lays in your heart. Fun! I’m thinking that could be a fun theme for a game night with neighbors. Who doesn’t love having fun and being silly at any age! 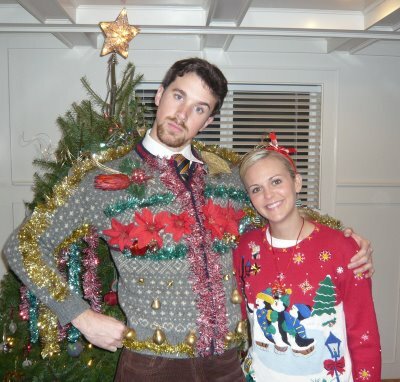 I hope I still have the one I used to wear as a young bride to the family get togethers…so festive. I like your last line very much. 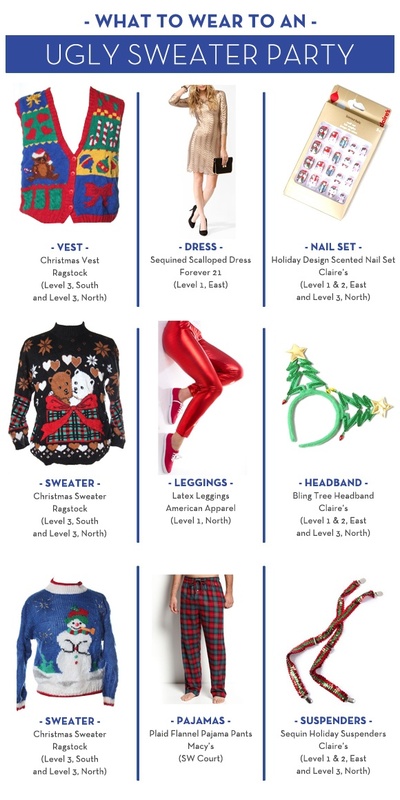 . . .and to think we used to wear this stuff . 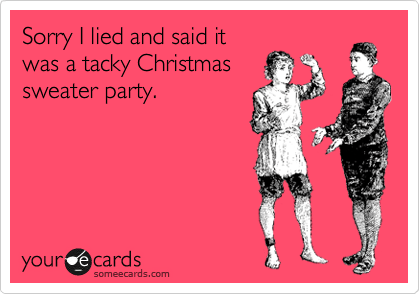 . . they did make for fun memories tho!